The assassination of John F. Kennedy on November 22, 1963, continues to inspire interest ranging from well-meaning speculation to bizarre conspiracy theories and controversial filmmaking. 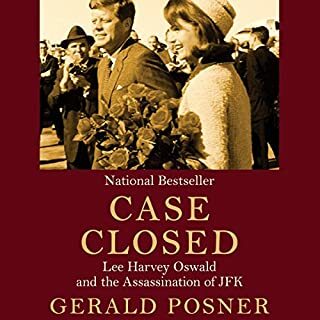 But in this landmark audiobook, reissued with a new afterword for the 40th anniversary of the assassination, Gerald Posner examines all of the available evidence and reaches the only possible conclusion: Lee Harvey Oswald acted alone. 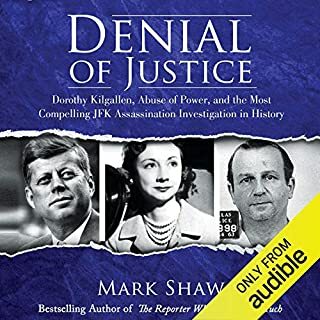 A groundbreaking, explosive account of the Kennedy assassination that will rewrite the history of the 20th century's most controversial murder investigation. The questions have haunted our nation for half a century: Was the President killed by a single gunman? Was Lee Harvey Oswald part of a conspiracy? Did the Warren Commission discover the whole truth of what happened on November 22, 1963? Philip Shenon, a veteran investigative journalist who spent most of his career at The New York Times, finally provides many of the answers. The best book I have read in a while. Disturbing. Makes you question the company line. In a 2017 survey, presidential historians ranked Dwight D. Eisenhower fifth on the list of great presidents, behind the perennial top four: Lincoln, Washington, Franklin D. Roosevelt, and Teddy Roosevelt. Historian William Hitchcock shows that this high ranking is justified. Eisenhower's accomplishments were enormous and loom ever larger from the vantage point of our own tumultuous times. 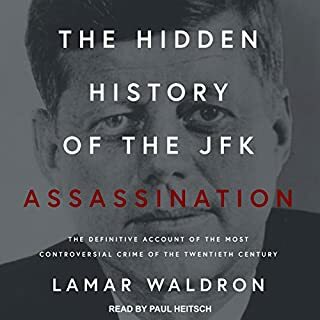 From the acclaimed author of JFK and Vietnam comes a book that uncovers the government's role in the Kennedy assassination more clearly than any previous inquiry. What was the extent of the CIA's involvement with Lee Harvey Oswald? Why was Oswald's file tampered with before the assassination of John F. Kennedy? And why did significant documents from that file mysteriously disappear? Oswald and the CIA answers these questions, not with theories, but with information from the primary sources themselves. Reclaiming Parkland details the failed attempt of Tom Hanks and Gary Goetzman - cofounder of the production company Playtone - to make Vincent Bugliosi’s mammoth book about the Kennedy assassination, Reclaiming History, into a miniseries. 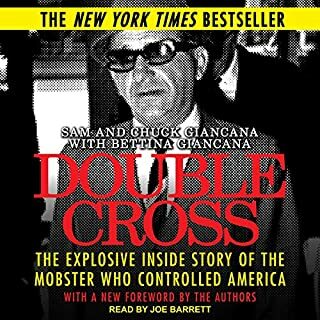 It exposes the questionable origins of Reclaiming History in a dubious mock trial for cable television, in which Bugliosi played the role of an attorney prosecuting Lee Harvey Oswald for murder, and how this formed the basis for the epic tome. In the months and weeks before the fateful November 22nd, 1963, Dallas was brewing with political passions, a city crammed with larger-than-life characters dead-set against the Kennedy presidency. These included rabid warriors like defrocked military general Edwin A. Walker; the world's richest oil baron, H. L. Hunt; the leader of the largest Baptist congregation in the world, W. A. Criswell; and the media mogul Ted Dealey, who raucously confronted JFK and whose family name adorns the plaza where the president was murdered. On the same stage was a compelling cast of marauding gangsters, swashbuckling politicos, unsung civil rights heroes, and a stylish millionaire anxious to save his doomed city. 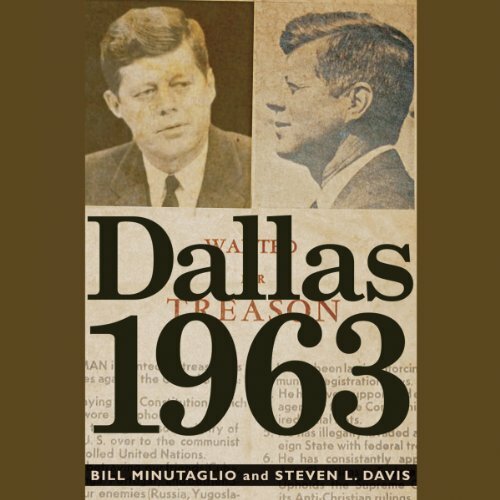 Bill Minutaglio and Steven L. Davis ingeniously explore the swirling forces that led many people to warn President Kennedy to avoid Dallas on his fateful trip to Texas. Breathtakingly paced, Dallas 1963 presents a clear, cinematic, and revelatory look at the shocking tragedy that transformed America. Countless authors have attempted to explain the assassination, but no one has ever bothered to explain Dallas - until now. With spellbinding storytelling, Minutaglio and Davis lead us through intimate glimpses of the Kennedy family and the machinations of the Kennedy White House, to the obsessed men in Dallas who concocted the climate of hatred that led many to blame the city for the president's death. Here at long last is an accurate understanding of what happened in the weeks and months leading to John F. Kennedy's assassination. Dallas 1963 is not only a fresh look at a momentous national tragedy but a sobering reminder of how radical, polarizing ideologies can poison a city - and a nation. This book is not about the JFK assassination. It is about the three years leading up to that event and some who played a part in it in some way. The book's greatest passages describe and quote two men: H.L. Hunt and General Walker. Once you hear their views, it is impossible not to consider that Dallas was about to explode in some way. Great info on these men. The audio of the main body is good. I believe the authors buttress the beginning and end (which is less than flattering). Great that this book was Fremont of and carried through to publication, as Dallas is every bit a character as the names of the assassination. Absolutely stupendous book, hitting the mark on all counts: plot, background understanding, and intellect. Dallas in the early 1960s somehow was remarkably arch conservative, even reactionary. Now that I have learned the back story, the assassination takes on a whole new light. This book tells history as it was a story, which is the best kind of history lesson. You learn personalities of the players and vivid detail. One small caveat: I felt as if Oswald's story, in the days leading up to the assassination, was somehow dropped out of the story-telling. Would have liked to read more on that. But small concern in an overall outstanding book. More than ever, learning history helps us understand today. I'm too young to have been alive during the Kennedy assassination. But that doesn't mean it hasn't left a powerful cultural impact on our society. There are a lot of players the book discusses: John Birch Society, The Dallas Morning News, Major General Walker, and the fever of conservative opposition to the Kennedys that was sweeping Dallas after Kennedy's election. If anything, you begin to wonder why it was Oswald that killed Kennedy because it seemed like the whole city of Dallas and especially the elite of Dallas all had strong motivations to get him out of office, and were often willing to resort to violence in their cause. The other doesn't get into much detail on Oswald, probably because other books had already done so or because so little is known, mostly tracking his activities as they were known and makes some guesses as to motivation. It did not make me question Oswald being either the assassin or at least attempted assassin, but it does make you wonder with all these other factors going on whether there weren't multiple factions trying to kill Kennedy, or whether there wasn't a strange connection somewhere between the ardent communist Oswald and some of the very right wing anti-communist leaders of the city, or that both sides didn't have people inciting them to action and hiding in the shadows. But after you get past the conspiracies and the questions that will never be answered, you can't begin to wonder at the motivations of all these people. And wonder if they ever felt guilty about their involvement in near-treasonous activities over fears that proved unfounded. Yes and I did. It actually made it a lot easier since in the beginning there are a lot of names of people it's hard to get straight. Though maybe listening to it in pieces and being able to look up some of these people in between would have helped as well. When the author gets to the day of it is riveting. You know everyone very well by then and follow their movements as well as the Kennedys. The author covers Lyndon B. Johnson and Lady Bird Johnson's visit to Dallas a year prior to the assassination. He goes over it in great detail and it's very fascinating and something that would foreshadow (though it seems like everything foreshadowed) the assassination. An interesting reflection on Dallas before the Kennedy assassination. Especially fun to read being from Dallas because so many of the names and places mentioned are familiar. Would you consider the audio edition of Dallas 1963 to be better than the print version? 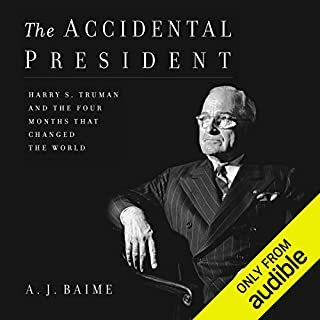 The audible version of this book really works. Facinating subject. And easy to follow. It's uncanny how the guiding principles of the John Birch Society and the right wing in Dallas (known at that time as "The City of Hate") are so similar to the current philosophy of the Tea Party. I lived in Dallas in 1963 and knew many of the players discussed in the book. Every fact, every tidbit, is accurate. It all fits with my memory and knowledge of the tragedy. Stanley Marcus - a true, blue hero. He understood the good in Dallas and worked to lift the city to a more cosmopolitan level. The Kennedy motorcade. Every whisper of air, the positions of all the people were beautifully described. The detail of the minute by minute description was a work of art. The assassination, of course. I cried when I listened to the description. But, I was also impressed, even moved, by the life of Marina Oswald. Her life with Lee Oswald is fully fleshed out for some understanding of his motivation and pathology. I recommend this book to all of my friends and family from Dallas. Fifty years later, unbelievably, the events are being forgotten. Because we live with the legacy of these events, it's important to be reminded of them lest history repeats. Great Discussion about Ted Dealey, H.L. Hunt, General Walker, the John Birch Society, Cold War paranoia, fear of desegragation and how JFK's policies ran a collision course. "Lone nut" Oswald doesn't explain his close ties to CIA asset George De Mohrenschildt and Russian right wing in Dallas, not to mentoin or Anti-Castro David Ferrie and Clay Shaw in New Orleans. Should either have left Oswald out entirely or addressed the historical record as developed by declassified documents under the JFK Records Act. What was one of the most memorable moments of Dallas 1963? The coverage of Adalai Stevenson's trip to Dallas in October, 1963 was very well done and adds meat to a frequently referenced foreshadowing event. Written by a. 5th grader the day after the Warren Report came out. Just an awful book that repeats the same false info the CIA and FBI pushed for 50 years. Beatlemania wasn't the only crowd frenzy looming in those times. Ghosts of the old South were finding their way into the machine of new media and trumpeting away, alarmed. The invasion, as they saw it, was a tangle of Yankee and Commie ideas coming to finally wash them away in a tide of Kumbaya and vile socialism. These authors and narrator do a far better job than I do here, of telling the tale, scene by scene. Their characterizations and scenes are brilliantly crafted, line by line, lit and staged with great skill. I have heard no more listenable history audio than this one. It is gripping. The sweat, blood, outbursts, fears, are all cinematically presented in multiple dimensions and colors, in moments clear as a bright Dallas November day. The pacing is great. My only beef is the utterly uncritical and unskeptical portrayal of the Kennedys and their Democratic politics of the time. While this book does put us in the optimism and flush of political awakenings of those times, of Civil Rights and so on, and brilliantly so, there is more of the story we have heard by now. First, a lot more info on JFK is floating around now. 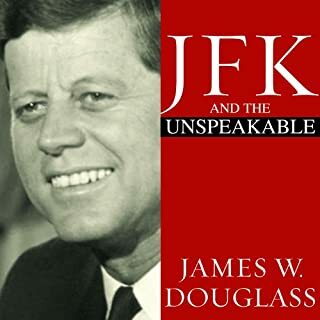 In this book, we get a rosy portrayal of him and Jackie and the kids straight from the Kennedy image and reputation mill of the times, and it was an industry in itself (that wasn't cheap to maintain). While I like this book tremendously, and share some of its idealisms, I would recommend the reader also check out The Dark Side of Camelot by Seymour Hersch, himself a journalist with very respectable liberal credentials in some of his writings (Nixon hated him). I suppose it makes sense for a book told in the present tense to only look from its own moment. We are well served by such a tight and disciplined focus. But there is also, policy-wise, the rest of the story of the sixties, seventies and so on, including, for those not in denial today, a litany of (some significant number of) failures one after another mixed in with those politics as the early blind hope and idealism turned to attempted implementation (JFK did not live to see, thus never being questioned about it). These idealisms and failures form the contours of our basic political conflicts today. This is so rosy on the Kennedys, and their ideas, it is sort of a picture postcard with the colors all too perfect. A final comment on history, and its echoes today: the Dallas fringe-right-wingers so unforgettably portrayed here, are one set of forebears to the voter base President Trump is tossing such red meat to, even as I write this. Another upstream group in history for Trump's base today (and political attack style) is, up north in NYC and DC, Roy Cohn, Trump's mentor and former lawyer (before Cohn, the ultimate red-baiter-backroom-fixer-lawyer, finally defrocked, died of AIDS in the 80's, secondary to his closeted party-boy lifestyle). I wish audible would publish, alongside Dark Side of Camelot, the book Citizen Cohn by Nicholas Von Hoffman, an expose that can stand beside Dallas 1963 in its colorful (and again, a bit left-skewed) history-journalism. These are all fine works, if imperfect.